Just got me a MkIV off ebay in Newcastle - S/N 12942. Guy had re-housed the head in an oak box and it's very nice, he had to take the reverb out to do it though. 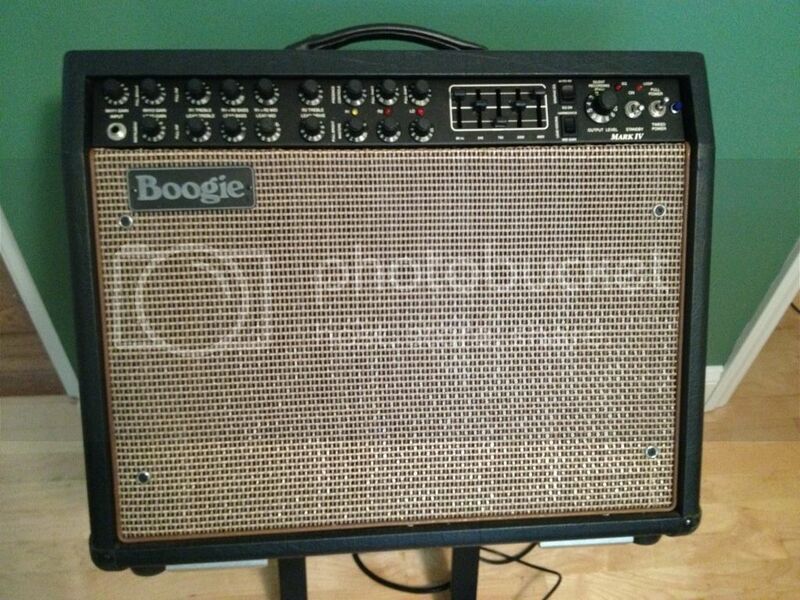 Still got the original Boogie head shell with the reverb tank. Got the FU-3 switch with it too, of a lovely retired chap who now uses something lighter. He only ever used the clean channel so it'll be good to get the lead channel working. A common complaint I've had is that my guitar can't be heard live - this should fix that, this f%&# is LOUD! You can leave them if they're working. I emailed mesa customer service and i learned that it was made on july 30 1993. serial # is IV-006496. It looks to be an hybrid in between the two revisions. It has the non removable ac cord. BUT it's got the revision b look at the rear. (and had the 12ax7 in v4). I also asked them if it was originally an head a combo or a rack mount because some things dont match. But its checks out as a head. thing i wish it had; a wicker front grill. edit : when i got it, it was retubed (preamp only) with TAD 12ax7 in every position. I rolled every tube except the v5 and NOW we are cooking. The TAD tube were sounding like 'chime'.. add not enough gain for my taste. now i wish there more difference between r2 and r3 lead. Just realized I had never posted a picture of my Mesa amps. I thought this was noteworthy after chatting with someone at Boogie about some issues I'm having; I have a IV-0086XX S/N but still have the permanently-attached power cord. At 1K per year I figure I'm sitting at a 1996 or so build date so they must have found an old early-revision-B chassis laying around and built it? I kept referring to it as an "early B" and he was perplexed by the later S/N and earlier cord arrangement; I honestly think he thought I was an idiot. *shrug* Wouldn't be the first time. Rick Finsta wrote: I thought this was noteworthy after chatting with someone at Boogie about some issues I'm having; I have a IV-0086XX S/N but still have the permanently-attached power cord. At 1K per year I figure I'm sitting at a 1996 or so build date so they must have found an old early-revision-B chassis laying around and built it? Adding to this long-standing thread. I am the proud new owner of a 1991 Mesa Mark IVa compact combo. I purchased it from the original owner. It came with hang tag, receipt, printed manual, the cardboard sample settings that sits on top of the amp and a cover. It's in excellent condition. I've had the Mark III, Mark V and a Multi-watt Dual Recto. I didn't gel so well with any of em. This Mk IV, on the other hand, was instant gratification on the clean channel. It took a couple of hours of tweaking, but I have the crunch and lead channels where I want them. I much prefer running the amp through a 2x12 vs the EVM in the combo. I could live on R2. Set for crunch, work guitar volume for cleans, hit with pedals for more dirt and leads. It works great at bedroom volumes, and sounds freaking fantastic cranked up. Of course the lead channel is fantastic for the heavy stuff. I love the tweed, triode settings for at home. Can't wait to get out and rock it with a band. Anyway, so glad this popped up for sale on the local Craigslist. And glad I could join the many owners of various Mark IVs here on the board. Hello fellow Mark IV disciples! I was a Marshall owner/player until I was studio tracking in 2012. For overdubs, the engineer encouraged me to try the mark IV. It was a Mark IV short head through 2 1x12 mark series cabinets and I was blown away by the clean/lead channel. The next day I purchased a Mark IV combo with Blackshadow speaker locally in mint condition and have never looked back! I've been gigging with this combo since then and I've been very happy (usually miced to the PA or standing on top of it's flight case), but I'd like to add an extension cabinet to my rig for more thump. My question for you Mark IV gurus is.. should I go for a single 2x12 cab with the combo speaker (thinking 2x12 compact rectifier closed back) or should I leave the combo speaker plugged in and opt for a 1x12 cab? Has anyone tried it in both configurations? Hi there, does anyone know the frequency values of the MarkIV's tone controls, particularly for the Lead channel? And what frequency/ies they shift to when "Lead Fat", "Pull Shift", "Lead Bright", and "Mid Gain" are engaged? I guess they slot around the graphic equaliser's frequencies of 80Hz, 240Hz, 750Hz, 2.2kHz, and 6.6kHz? I do have a MarkIV and don't have an issue with setting it. But I am curious to what the frequency values are of its tone pots. Please help. What i'm wondering is, do you active gig players protect the amp with a case or something? The open back is just waiting for a hit of a drum stand or whatnot, in the van. Welcome, metal player I assume with eyepategod/eyehategod being so similar. Get a case! The knobs on the front can get seared off very easily during transport or at practice. That's what happened to my IV once when the other guitarist caught a knob and snapped it off. I was able to super glue it back and it worked fine but I've seen a lot of IV's with missing knobs, (always a fifteen dollar fix) for sale. I don't think I have ever seen a Mark 1 - 3 with a knob knocked off. I've owned amps and guitars for 40 years and they mostly look like the day I bought them because they travel in cases. The one old Marshall cabinet that I bought new in 1985, has no case and it is beat! Cant find any cases for the IV in Europe web shops... The V:s case seems abit too big. Anyone notice a little bit of noise and hum when in Triode mode on their IV?? Mine has just a bit of hum in Triode (not much), but Pentode is dead silent by comparison. Not sure what setting I prefer? but I think I prefer Pentode just because of the headroom?? I like to get the full 85 watts. Tweed, Class A, and Triode just makes the amp a little bit looser and less full. The amp sounds so good at bedroom levels that it's not really necessary to have these lower wattage options... I just turn the output control down. Anyone else notice how damn loud the Mark IV is? or just how dramatic and touchy the taper on the Output control is?? I can get to band level volumes with the output only at 2, with the Lead Master up fairly high. 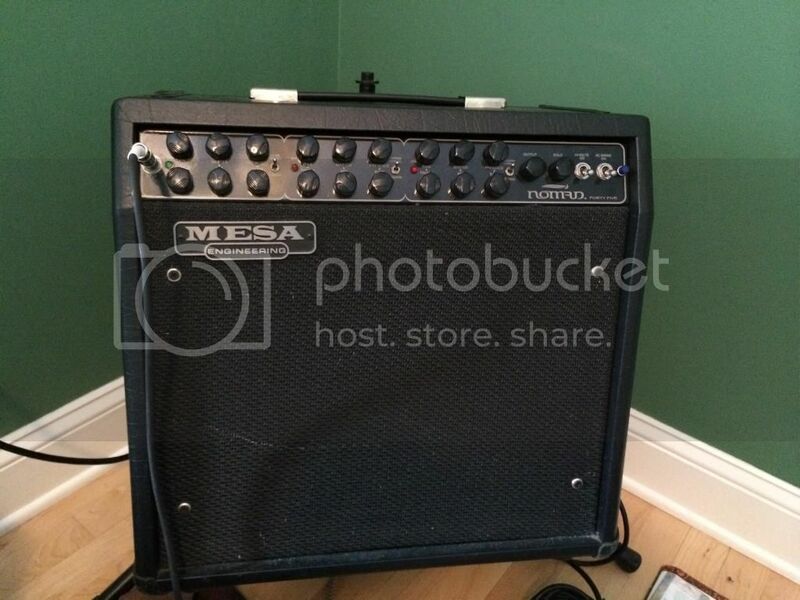 This is definitely a gigging amp, but is very bedroom volume use friendly as well.